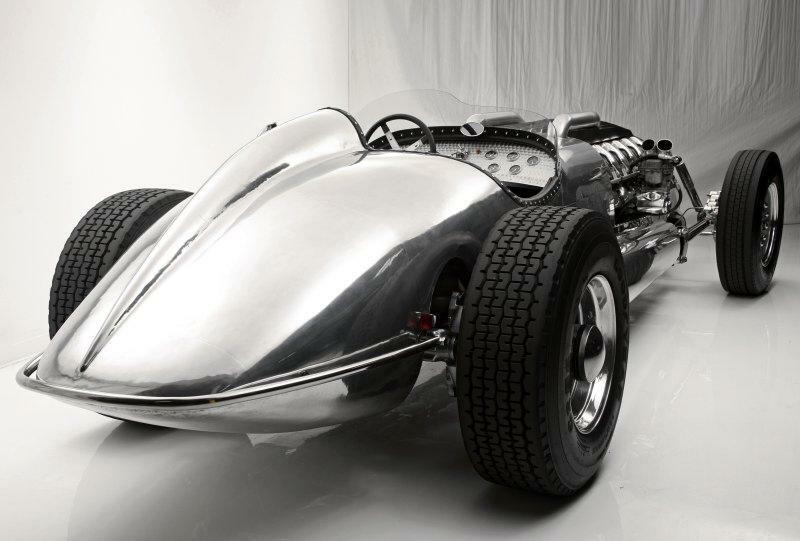 Remember the Blastolene Special owned by Jay Leno? 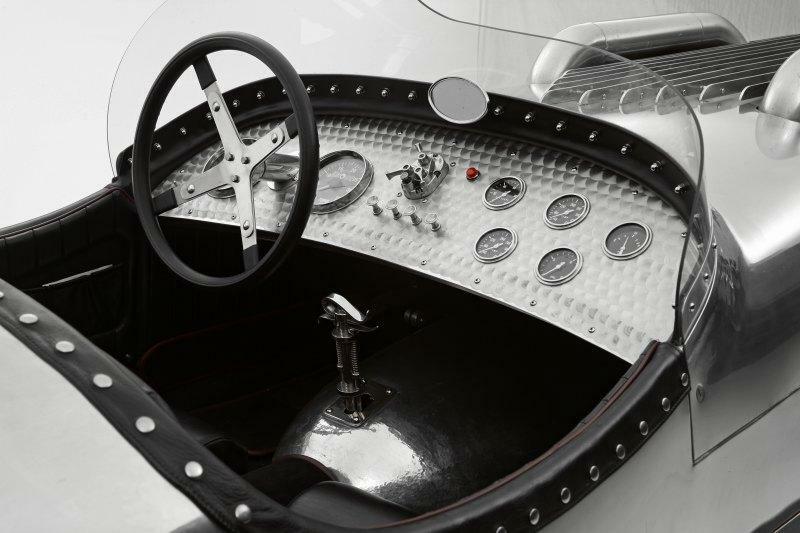 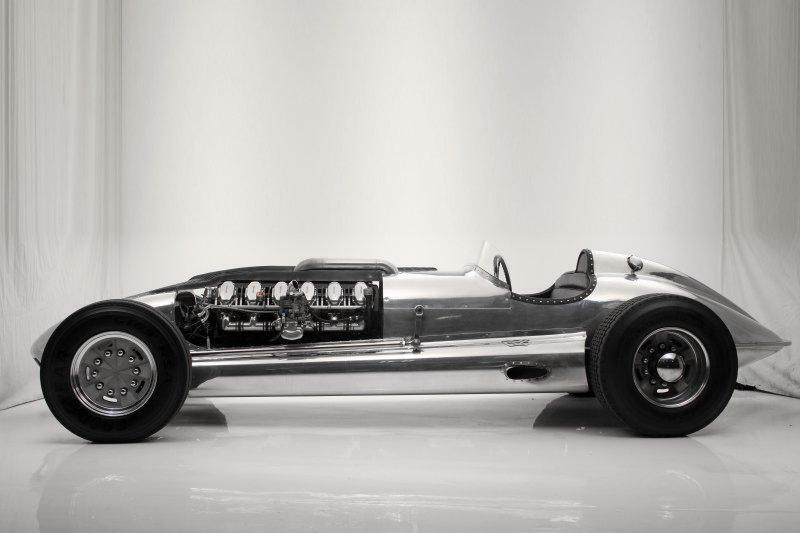 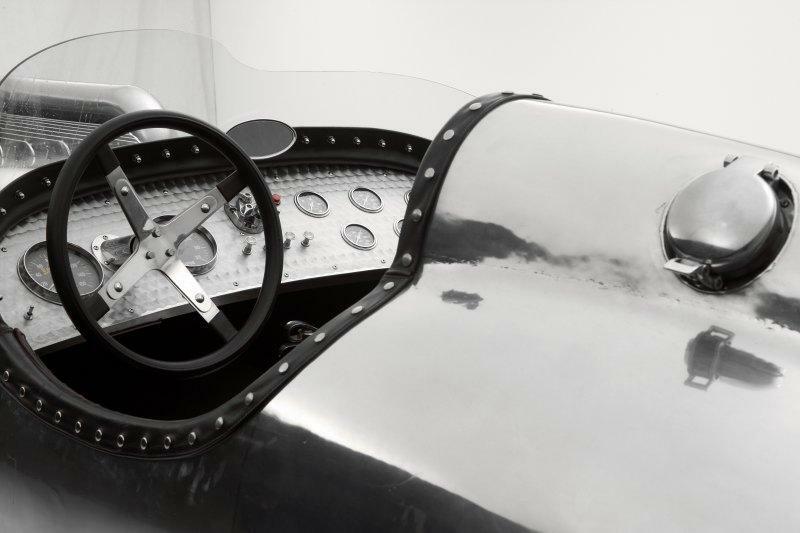 Well, there’s one more Blastolene car – 1952 Blastolene Indy Special. 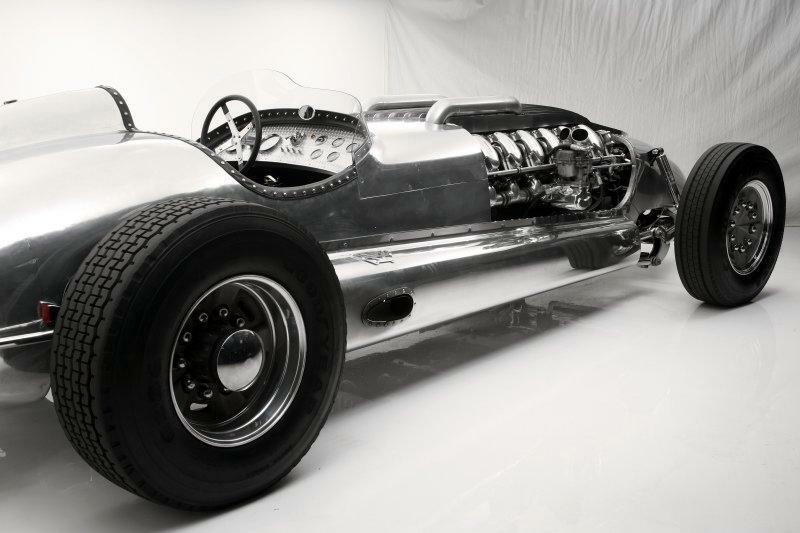 This time they took air-colled M47 Patoon tank engine (12cyl 29.3 liter; 1200 horses at 2800 rpm) and built an awesome aluminum 21.5 feet long body around it. 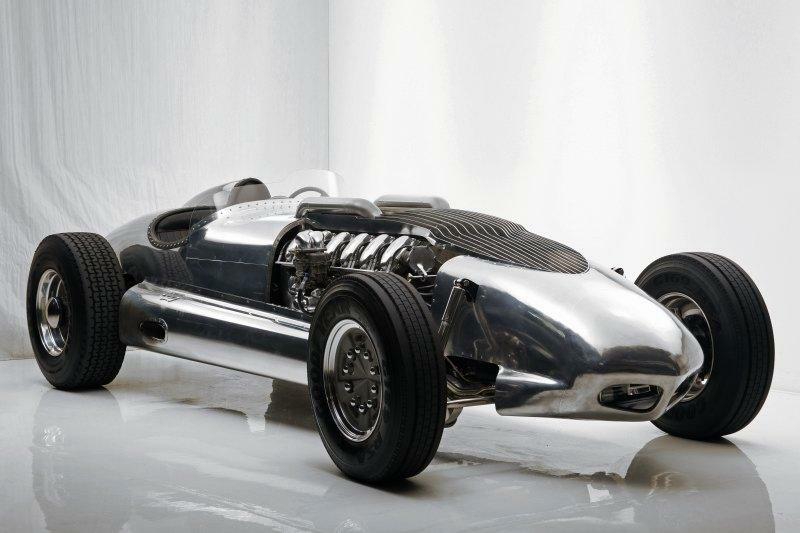 The amazing hot rod features Allison 4-speed transmission, hydraulic disc brakes from a diesel truck. 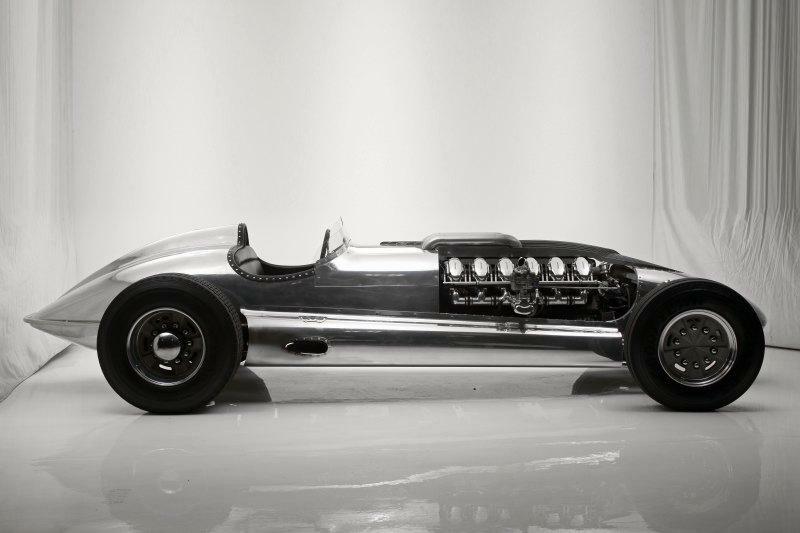 It took 6 years to build this 3810 kg monster.